Our quest for knowledge never ceases as we spiral ever upward to new heights of understanding. Although you may have completed your 200 or 300- Hour Yoga Teacher Trainings, Urban Bliss understands that learning leads to growth and transformation. When it comes to Yoga, gaining new knowledge means being able to, in turn, offer more uplifting practices to both yourself and students alike. Urban Bliss offers a variety of workshops in order keep students and teachers engaged in the expanding world of Yoga. Please see below for a look at some of our workshop offerings and sign up to stay up to date on teacher trainings and workshops! Those who have experienced the powerful movements of Yoga schools, such as Vinyasa or Mysore, understand that it creates a fire in the body, a warmth that both detoxifies and strengthens. Unknown to most yogis, there is also a powerful yogic practice known as Yin Yoga. Whereas Hatha Yoga embodies the principles of Yang (hot, expansive, moving) and focuses on muscle movement, Yin Yoga is about contracting, cooling, and stilling the body with the intent of working on connective tissues, such as ligaments, joints, and bones. Urban Bliss School of Yoga offers Yin Yoga Teacher Training in order to offer yogi’s a greater understanding of this great, dynamic practice, often unheard of by many. Adding Yin to your knowledge of Yoga can expand and deepen your practice, as well as what you can offer your students. 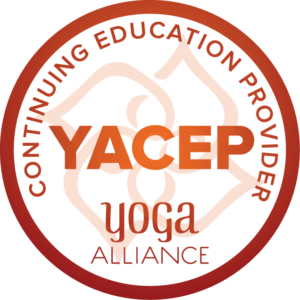 Yin Yoga Teacher Training educates the yogi student on how Yin Yoga can become a complimenting aspect of every practice. Its 30 poses are intended to slowly engage the connective tissues of the body in order to trigger a sense of Zen-like calm in the practitioner. The Urban Bliss School of Yoga offers this Yin Yoga Teacher Training to assist students and teachers alike to balance their practice and help others to discover the benefits of Yin Yoga. The Urban Bliss School of Yoga believes and reinforces one of the reigning tenets of Yoga is this: Yoga is for EVERYBODY. People of every walk of life can benefit from this ancient, powerful practice. Do you wish to help students with physical conditions and limitations to enjoy yoga? Through the Urban Bliss School of Yoga’s Restorative Yoga Teacher Training, you will gain the necessary tools to help students of all levels to benefit from yoga through your knowing guidance. Do not delay in adding the benefits of Urban Bliss School of Yoga’s Restorative and Yin Yoga Teacher Training to your practice.